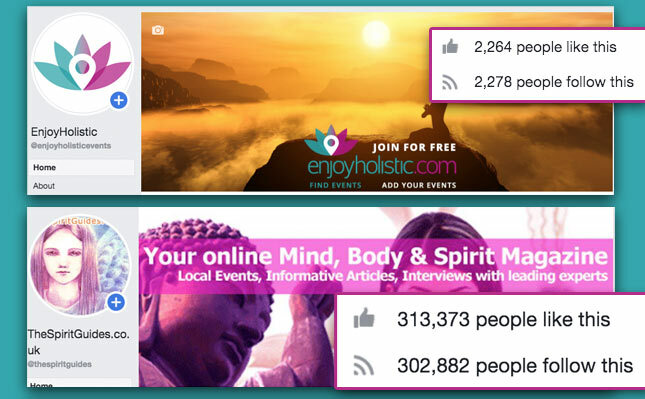 We will feature your event on the home page of enjoyholistic.com for one month. Promoted as a priority listing, appearing at the top of your event category. 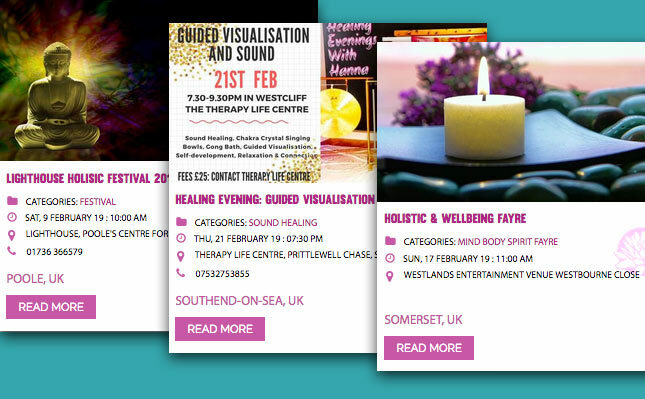 Your event will appear in the right hand margin of all pages and regional thespiritguides.co.uk website. 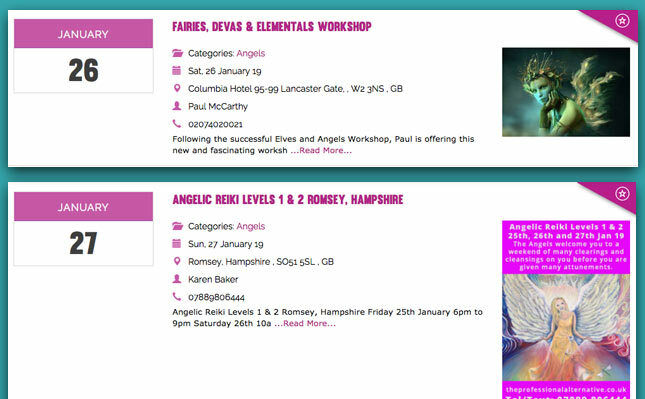 A wide banner will also be created and promoted on the home page and interjected between event listings. The banner will also be included in the weekly Thursday global newsletter. 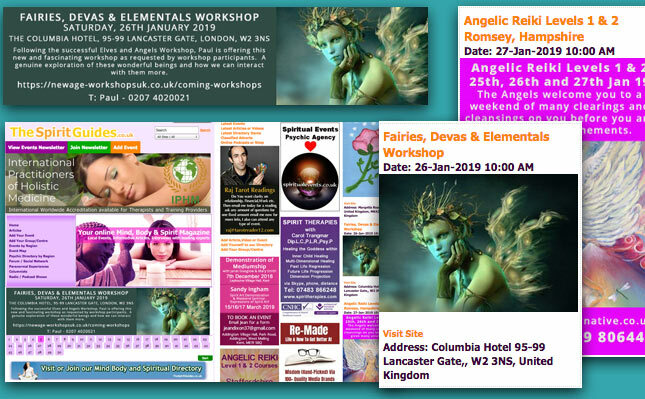 We will boost your event to our collective audience on our Facebook pages. TheSpiritGuides has over 302,000+ fans. Enjoy has 2,278+ fans and counting. Facebook now charge to boost a post that can reach our greater audience. We will create and boost your event on our social pages.